Mr. Henderson trusted us with the development of intelacare.com website. This project was created from scratch using Drupal. We provided a number of suggestions on the design that were then implemented in a cross-browser, xHTML/CSS valid, Fusion-based Drupal theme, along with a number of custom, fully collapsible regions and skinr classesm that are ready to be applied in all elements. Special attention was given to the slideshow, as all rendering images should fit nicely within the smartphone wrapper. Mr Henderson trusted us with the relaunch of the currently existing website http://www.affn.com. 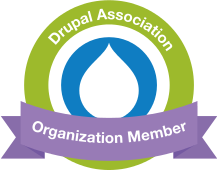 We suggested Drupal CMS as a basis and part of our role was consultancy on best Drupal practices, among other. The web design is based on a commercial HTML template that was purchased and then converted to a cross-browser, xHTML/CSS valid, Fusion-based Drupal theme. Part of our responsibilities was also to provide tutoring on Drupal site administration topics, and to deliver the complimentary documentation. Mr Darren Taylor, from Approach Digital, a design & web dev company based in UK, trusted us with the development of the choose a bed and breakfast website. The design was provided by Approach and converted to a Drupal theme, using fusion as a basis. The website supports recurring payment system using Ubercart for paid registrations. It allows proximity search and implements gMaps API for geolocating all data. Many custom modules were developed to offer additional functionality. Vancouver Web Design trusted us with the development and theming of Injury Free Jone website - a preexisting project that was redesigned and transferred to Drupal. Blog posts, Flash Games and Youtube integrated Videos forming galleries (with custom pagination based on titles) are just some of the content types that were included. Full integration with a number of social media websites (i.e. facebook, twitter etc) offers an excellent way of dissemination of this new project. Two (summer and winter) custom themes were developed using Fusion as a basis in tandem with skinr, to allow the most flexible combination for theming needs Drupal has to offer at this point. Themes were based on PSD designs, that were converted to detailed-to-the-pixel, cross browser, xHTML/CSS valid themes. A checkbox under the admin theme settings allows an easy way to toggle between the two themes.